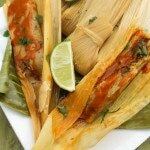 Gorditas de Azucar (Sugar Gorditas) | Mexican Appetizers and More! 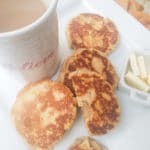 These Gorditas de Azucar (Sugar Gorditas) can be enjoyed at anytime of the day especially for breakfast or midday snack with coffee, hot chocolate or milk. Gorditas de Azucar (Sugar Gorditas) are just that kind of treat that is welcomed anytime of the day. Especially for breakfast or as a quick sweet snack in the middle of the day. These Mexican sweet gorditas are perfectly delicious alone or topped with butter, jam, nutella, dulce de leche or cream cheese and jelly. 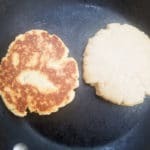 Sugar gorditas are kind of a English muffin style biscuit or maybe something in between a muffin and say a mini pancake. They are perfectly spongy and sweet. 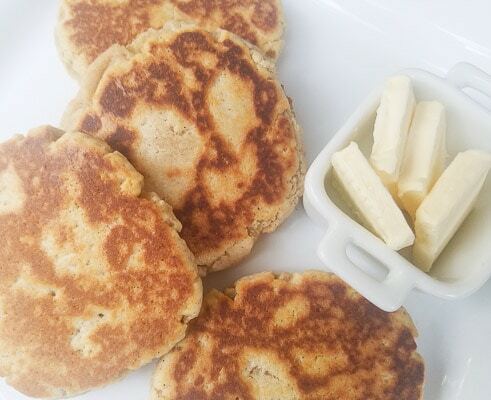 These sweet gorditas in particular have a hint of vanilla and cinnamon. Otherwise known as Gorditas de Azucar de Canela (Sugar Gorditas with Cinnamon). But no worries, if you don’t like cinnamon, you can certainly, exclude it from this recipe. I like cinnamon, so in it goes for me! Yum! Now I know they may not look the prettiest and maybe even look kind of boring but they certainly don’t taste like it! 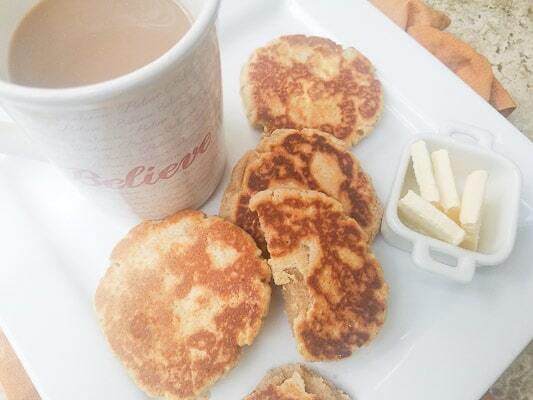 Serve these gorditas with hot chocolate, coffee or even a glass of milk. And with the holidays here, gorditas de azucar make the perfect addition to a self serve holiday brunch or Christmas breakfast. One batch makes 12 gorditas and would be enough for a serving of 6 adults. 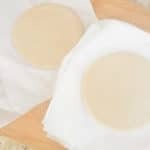 To make these gorditas de azucar you just need a few baking ingredients and you too can recreate these delicious sugar gorditas. Begin with mixing all the dry ingredients. Add the shortening to dry ingredients. Add in the egg, milk and vanilla. 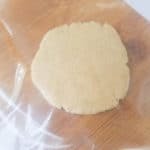 Using a tortilla press or a plate, place a ball in between two plastic sheets or cut the sides of a Ziploc bag and place dough ball in between. 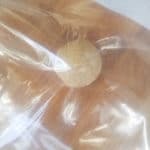 Flatten ball to about 3 1/2 inches in width. Heat a griddle pan on medium heat. Wait until pan is heated through and cook discs about 1 1/2 minutes to 2 minutes on each side until golden brown. Serve gorditas de azucar, plain or with a topping of your choice and don’t forget to pair it up with hot chocolate, coffee or milk. Absolute YUM! I hope you enjoy these sweet gorditas as much as we do! Incorporate shortening and work it in with your hands. Slowly add in the milk and egg and mix well with your hands. Add vanilla and do the same. 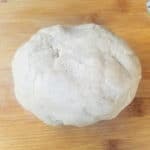 Divide dough into 12 dough balls. Serve gorditas de azucar, plain or with a topping of your choice and don't forget to pair it up with hot chocolate, coffee or milk. Let me know when you try it! 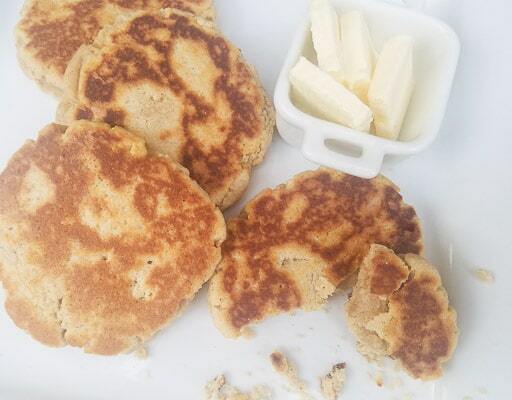 🙂 Yes, there are “corn gorditas” that can be filled with all sorts of fillings like chicken, beef and veggies and then there are these “sugar gorditas” made with flour and are great for breakfast or as a sweet treat with coffee, milk or tea. I hope you enjoy them Chelsea! Let me know when you try them. A fan of ur recipes already Cathy! I’m never enough of some yummy snacks while working, Thanks for this one. Awwww! THANK YOU LOLA! What a nice compliment and so appreciated!! Thank you!! I bet those flavors are amazing! 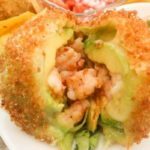 I LOVE how easy and delicious this is! Good idea! Looks very tasty! I am going to make this! This recipe really impresses! I really like! Thank you. THANK YOU Neli! Hope you love it as much as we do! Comfort treat for sure! Love these! 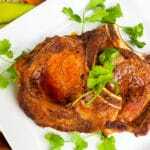 A nice simple recipe which all those warm comforting flavors. Cinnamon is one of my favorite spices. Thank you! Mine too Danielle! These sound amazing! I love all the flavours and the cinnamon. What a great breakfast treat. Ooh these look so good! These look like the perfect snack. Yes they are!! Thank you! 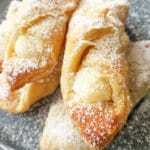 Looks like such an easy recipe to follow and get a sweet treat from! Sounds fantastic! So happy you loved them Cindy! 🙂 Love them with coffee! I made the gorditas & forgot to add cinnamon. 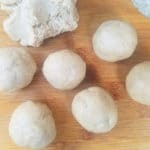 Is there any way I can add to masa without messing it up? Also, my gordita breaks apart, still yummy, but what did I do wrong? Hello Lupita! 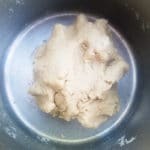 Yes if you forget the cinnamon just sprinkle into masa and knead the dough with your hand for about a minute to incorporate in. I’m not sure why the gordita was breaking apart but did you use warm milk? Sometimes if the milk is to cold it causes the gorditas to crumble. I hope this helps. Glad they at least were yummy! 😊 Let me know if there is anything else I can maybe help you with! Thanks for reaching out!